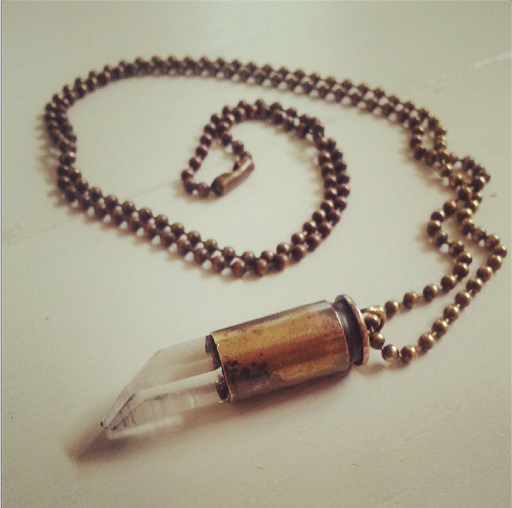 Posted on June 15, 2013 by Sarah S.
Usually, I stick to buying coffee and veggies at the Madison Farmer’s Market, but a couple weeks ago, I ran across this antique bullet and crystal necklace at RocksNsoul‘s market booth and had to purchase it. I’d hate to get too hippy, but isn’t the dichotomy just lovely? You can purchase your own unique necklace on her Etsy shop. 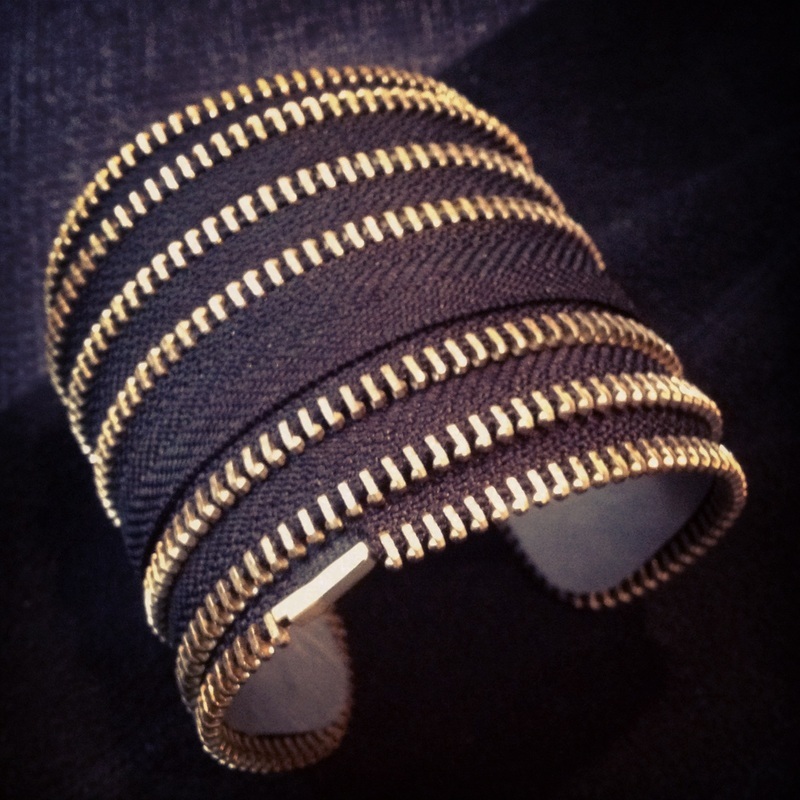 Another favorite of mine that I saw at her booth was this amazing cuff bracelet. Maybe I’ll save that for my next trip to the Farmer’s Market! This entry was posted in Style and tagged antique, bullet necklace, crystal, crystal necklace, cuff bracelet, dichotomy, etsy, great finds, handmade, madison, rocks n soul, rocksnsoul. Bookmark the permalink.